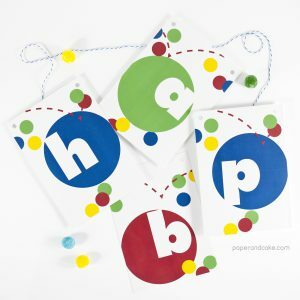 A ready-to-hang birthday pennant banner with lots of bounce, bounce, bounce! 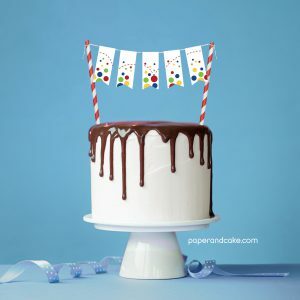 A ready-to-use cake topper with colorful bouncing balls. 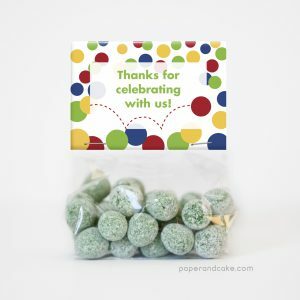 Ready-to-fill party favor bags with a colorful Bouncy Ball theme. 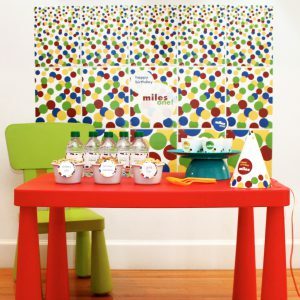 A bright joyous collection… primary colors never looked so good!